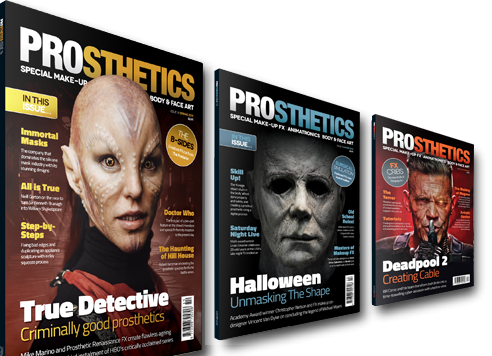 Since our launch in 2015, PROSTHETICS Magazine is now stocked in 36 shops across 12 countries and 4 continents! You can find us throughout Europe, North America, Australia and Asia. Now available direct from Prosthetics Magazine. You need never miss another magazine release, with printed magazines delivered to your door and a digital library of back issues online. We are proud of our magazine and want it to get out there to as many people as possible! If you’re interested in becoming one of our distributors for PROSTHETICS Magazine, please get in touch. You can now view your Prosthetics Magazine online! Issue 14 Spring 2019 – Out Now! 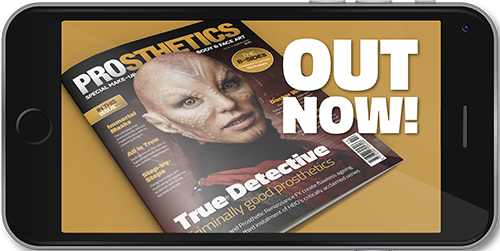 Issue 14 is the latest issue of PROSTHETICS Magazine published by internationally acclaimed makeup FX designer and teacher Neill Gorton. 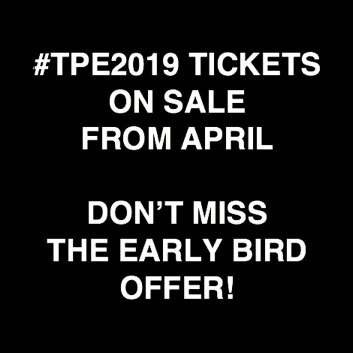 Includes articles about screen prosthetics, makeup FX and related fields, in-depth interviews with the industry’s leading global practitioners, technical information about the materials used in the craft and a fabulous collection of detailed tutorials by highly accomplished artists.